Simply defined by National Geographic as a “a narrow strip of land separating a body of water from inland areas”, beaches are so, so much more. They are places of rich biodiversity and dynamic habitat; places of leisure and recreation; places beloved the world over for bringing people together and connecting them with water. Although the typical beach is often painted with golden sand and crashing waves the diversity of beaches around the world is remarkable. Beaches can have different types of water, are found on all types of waterbodies, and can be made up of everything from sand to cobblestones to mud; they can be located anywhere from remote islands to city centres. Beaches truly come in all shapes and sizes. Before getting into the different types of beaches, understanding the different components of a beach will help in understanding the differences between them. The beach profile is a term used to describe the landscape of a beach. Within that there are several typographies used to delineate the different components of a beach. The main ones are: the water, where you swim; the foreshore, or the intertidal zone, which is the part of the beach that is covered at high tide and exposed at low tide; and the beach berm, which is the area between the foreshore and the inland. The berm area is usually a plateau or slight backwards slope. This area includes the sand, as well as lots of vegetation such as grass, shrubs, and wildlife. The landscape of a beach varies greatly depending on a number of different geological elements, including the type of water, the strength of waves, climate, and weather. The most influential element on the beach profile, however, is the tide. Tides are created by the gravitational pull of the moon and affect both marine and freshwater beaches. Like the water bodies themselves, though, the tides on lakes occur at a much smaller scale than oceans. 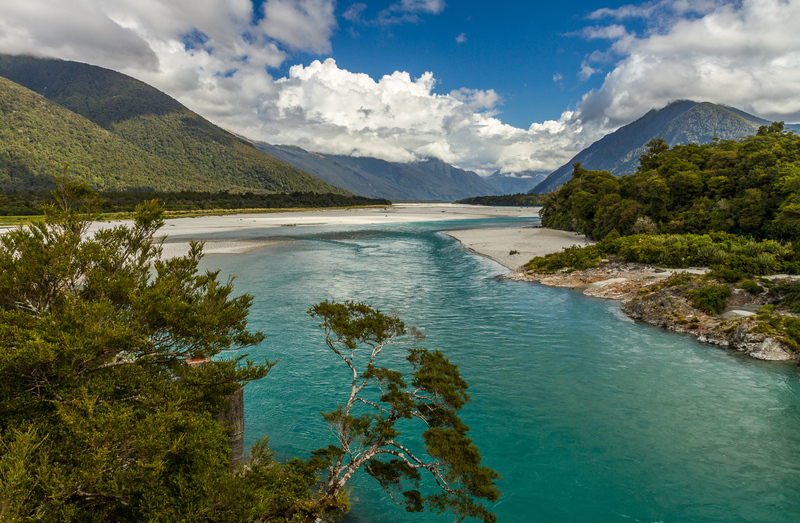 Other factors like the change in water level and flooding can drastically impact freshwater beaches as well, especially in low lying areas such as river deltas. Tides work to re-shape and erode coastal areas, break down rock into sand, and bring sediment onto shore. Similar to the various components of a beach, several typographies exist to classify different types of beaches. None of these are exhaustive as beaches are unique, constantly changing ecosystems. That being said, Coastal Care claims there are four main types of beaches. “Barrier island beaches are beaches that start and end in the water and cover vast portions of our world’s coasts. These shifting shoals of sand are generally migrating towards the mainland around the world, possibly due to sea level rise. Mainland beaches are simply where the land meets the sea and also comprise many of the world’s beaches. Spits are similar to both types of beaches in that they are connected to the mainland at one end, but end in the water at the other end. When a large storm comes and cuts a new inlet in the spit, a new barrier island is formed. This typography encompasses a lot of beaches across a lot of different geographies. However, its broad and within these four main beach categories lots of variance exists. Beaches can be freshwater or saltwater, on rivers or oceans, or have sandy or rocky shores; they can be in remote location or at your back door! Roughly 72% of the earth’s surface is covered in water, and 70% of that is saltwater. Saltwater beaches are some of the most iconic around the world, as beaches are commonly associated with coastal regions. Saltwater beaches can be found along oceans, seas, and estuaries. As the primary characteristic of saltwater beaches, the average salinity of the ocean is 3.5%, or 35 ppt. You’ll find you’re much more buoyant in saltwater because of the high salinity. This is especially true of some smaller saltwater bodies, like the Dead Sea between Jordan and Israel, where the salinity level is 34.2%, nearly 9 times that of the ocean. Like cold water, saltwater boasts a slew of health benefits, reportedly being great for conditions such as arthritis, asthma, and inflammatory diseases. As mentioned, saltwater beaches usually have bigger tides, and in turn waves. This makes them great for recreational water activities like surfing and bodyboarding. Salt water beaches are also more diverse than freshwater, and they exist in much larger numbers. They can be found in any coastal area, including places where you might not want to swim like the arctic, or on Iceland’s ice beach! Found in the form of lakes, rivers, streams, ponds, and estuaries, freshwater bodies only cover about 2.5% of the world’s surface. Not completely free of salt, most freshwater bodies have a salinity level less than 1%, which is unnoticeable to swimmers. Freshwater beaches vary greatly depending on what type of water body they are found on. Beaches on lakes are often quite narrow and sandy. 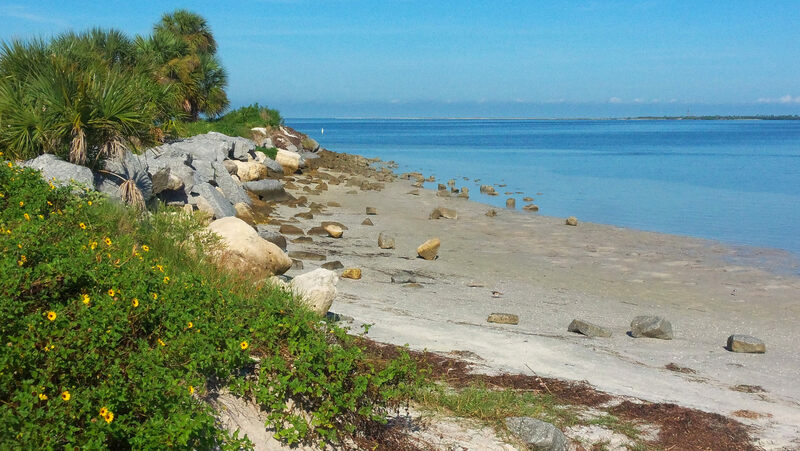 Due to the smaller tides found on lakes, their beaches tend to be more static, and often require regular maintenance as inland vegetation creeps towards the shoreline. Riverside beaches tend to be wider, and beaches found along streams and ponds are more rare. Riverside beaches change a lot depending on localized flooding and bank erosion. Where marine beaches are influenced from tides and sediment getting brought onto shore, freshwater beaches are more often created from materials found along the shore. In some cases, freshwater beaches are artificially made and maintained. Sand is perhaps the most iconic element of a beach. Nothing quite says a day at the beach like getting home and finding sand in every nook and cranny. It’s the stuff we build castles with and dig our toes into. But what is sand? First and foremost, sand is created from rock and minerals being broken down into tiny little particles by waves, tides, and coastal erosion. Both the type of rock surrounding a beach and the local ocean currents impact the type of sand that you see at a beach. Sand is commonly made from the minerals quartz and feldspar, coming from metamorphic or igneous rock. Both quartz and feldspar create light brown sand. If iron oxide is present locally, the sand will be more brown. In some places with extremely high levels of iron oxide, like Canada’s Prince Edward Island, the sand even becomes red! 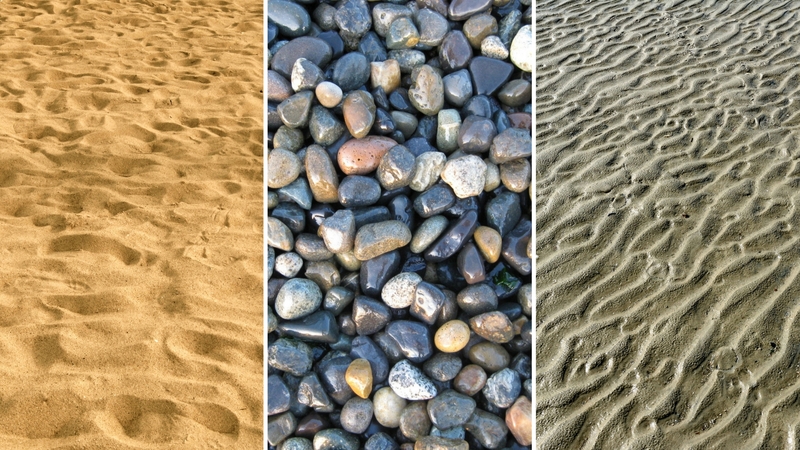 Other unique types of sand exist at different beaches around the world as well. White sand beaches, which are common in Australia, are created from shells, coral and white quartz. Black sand beaches, found in places with volcanoes, are created from lava stone being broken down into sand. There are only four green sand beaches in world, in Norway, Ecuador, Guam and Hawaii. These are created by olivine crystals, a silicate mineral containing iron and magnesium. Other sand colours include pink, orange, and purple, all influenced by different local minerals. Rocky beaches occur where coastal cliffs erode and crumble into large rock deposits along the the shoreline, blocking the build up of smaller, sandy sediment. Rocky beaches are areas of rich intertidal biodiversity. Due to their accessibility, they have been studied perhaps more than any other habitat in the field of marine ecology. 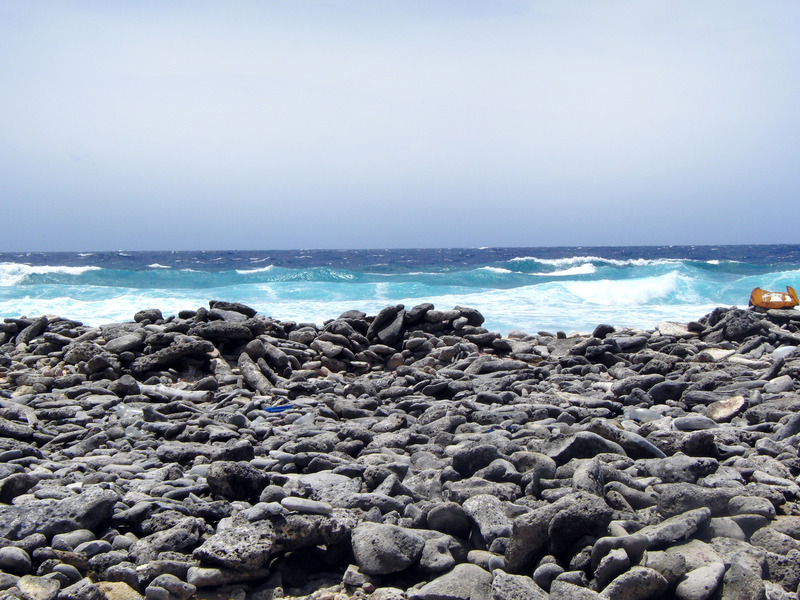 A process known as zonation occurs along rocky shores where very distinct habitat zones emerge as a result of the various stages of tidal exposure along the shore. Across these zones, species include plankton, seaweed and algae, barnacles, limpets and sea anemones, as well as a wide array of organic matter brought in with the tides. Within the rocky beach family, pebble, or shingle, beaches are beaches comprised of small, smooth rocks ranging from 2-200 millimeters (0.1-7.9 inches). Theses beaches are typically the result of a glacial activity, where the pebbles are polished over time by waves and tides. The profile of shingle beaches are typically quite steep because of their porous nature. These are commonly found in Europe, North America, and New Zealand’s south island. If sandy and rocky weren’t enough for you, muddy beaches, or mudflats, offer another unique beach experience. Mudflats are formed when tides and rivers deposit mud, estuarine silts, and clay along the shoreline. The majority of mud is found within the intertidal zone. This means they are only exposed during low tide, making the mud quite wet and soft. In northern European countries, such as Netherlands and Germany, mudflat hiking is a popular activity where hikers capitalize on low tides to hike along the mud flats. Many of the worlds mudflats exist in this region, however they are also found in Asia and North America. If the geological elements of beaches weren’t enough characteristics for you, beaches can also be defined by their location. Perhaps the most unique of all locations for a beach are cities. Urban beaches are different from beaches that naturally occur in urban areas in that they are man-made beaches designed to simulate a beach experience. They’re usually from large sand deposits, and boast typical features like umbrellas and volleyball areas. Most urban beaches are built near water, but some are even built in parks or other urban areas completely isolated from any body of water. 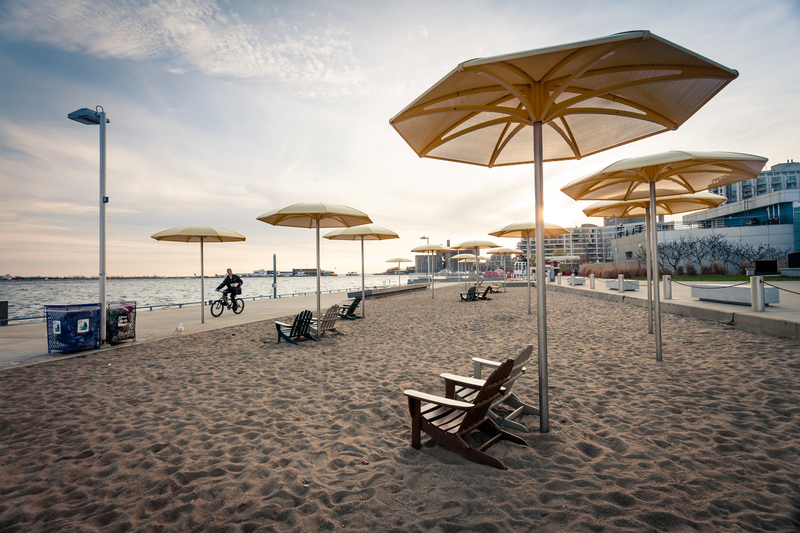 Examples of urban beaches include Toronto’s HtO Park, Vienna’s Sand in the City, and Shanghai’s Sunny Beach. Exploring Coral Reefs: What are they and why are they bleaching?